An exciting day today with lots of fun things going on. We’re (finally!!) starting to enter that stage of development where the additions come thick and fast. Today we implemented a plethora of new items and accessories. Sadly they’re exactly the kind of thing I’d prefer you to find on your own out in the game world so I’m not going to spoil them here. 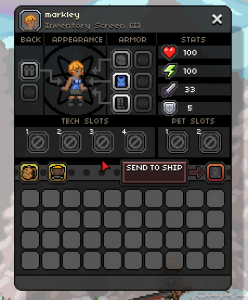 We also implemented throwable items (which have been a long time coming). 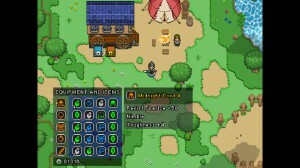 Pretty much anything you can throw will use this system and we’ve already started abusing it to make a ton of items. 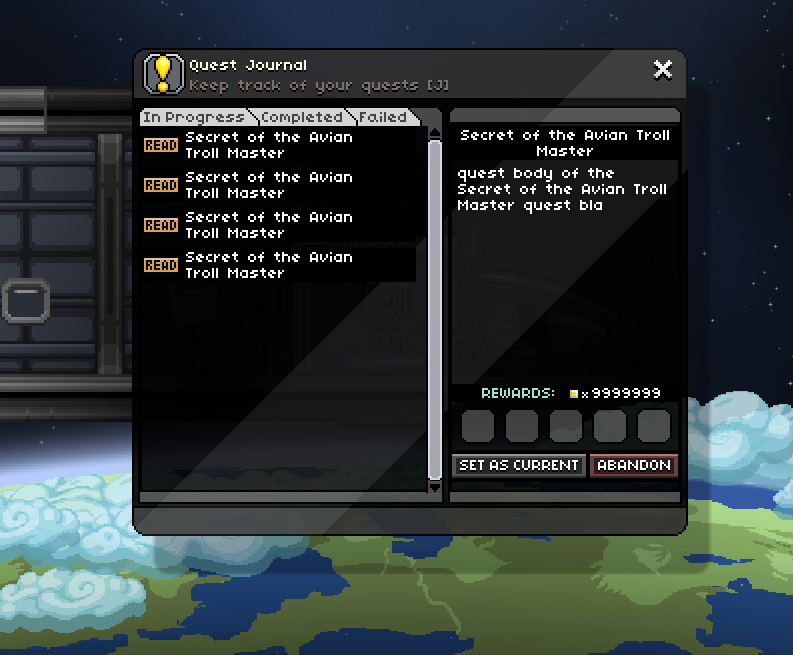 We also implemented the first of the quest interface pieces. I know you guys have seen this before, but here it is in game! 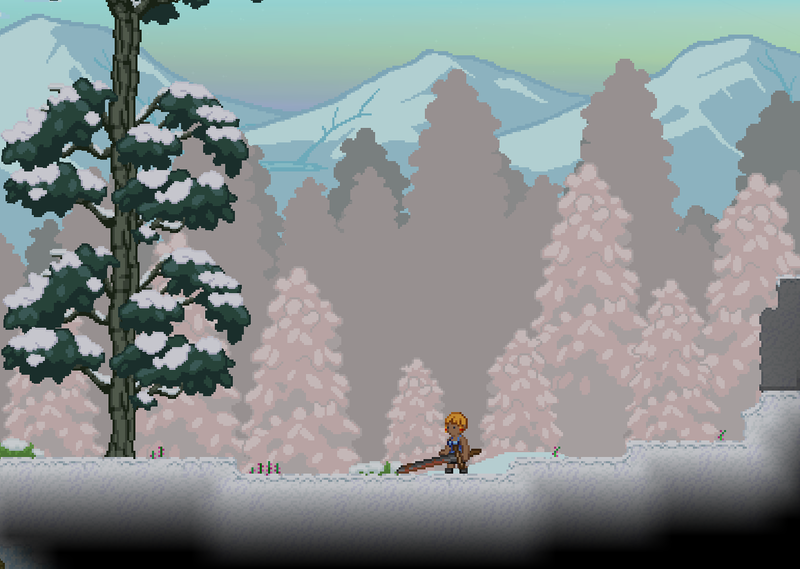 We also implemented a whole bunch of rusty, wooden or otherwise purposefully rubbish looking weaponry for the first tier of gameplay! 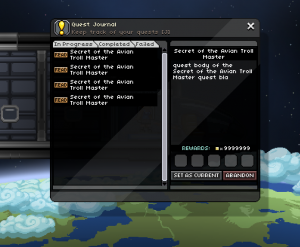 Our chest database is almost complete, it’s a way of managing what will appear in chests across different planets/dungeons/planet levels/biomes and so forth. We’re also working on throwing in a bunch of ‘breakables’, these are objects you can smash open with your gun or sword for goodies. 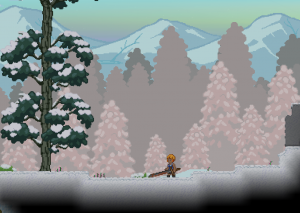 A bunch of biomes have been tweaked and now look a lot prettier and a great deal of evolved monster pieces have been completed. In other Chucklefish news, we have a game in the steam sale! 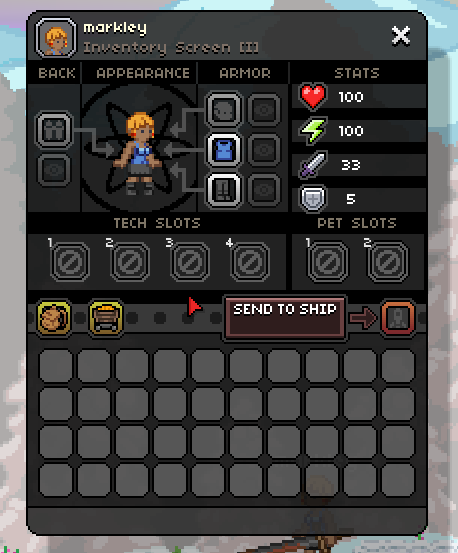 Wanderlust (developed by Yeti Trunk, published by chucklefish) is available to buy at £1.74 at the moment. 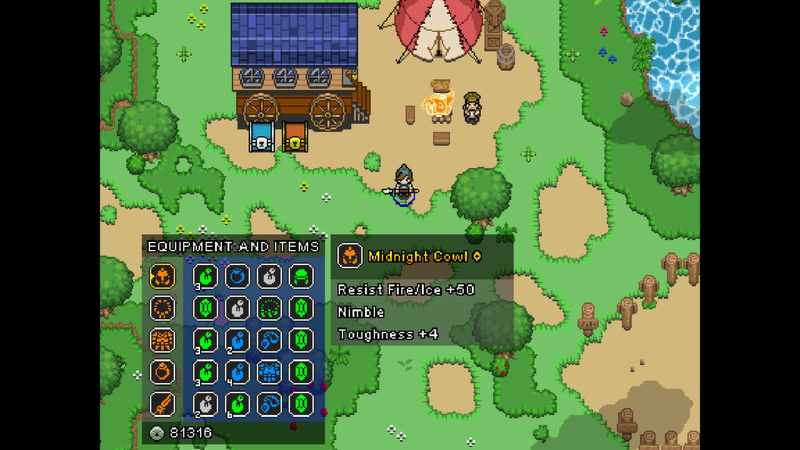 It’s a great online, coop, arcadey, action RPG and sales directly support Chucklefish.